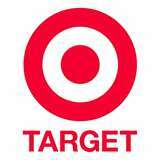 For this weeks Target Weekly Sales and Coupon Match Up check out Bargains to Bounty. Jolyn does a great job of matching up the sales with coupons. Please check your local ad before shopping as some sales and prices vary by region.